Getting a mortgage to buy a property in London is at its least affordable in a decade but nationally in the UK home loan affordability has remained steady, lender research has found. While London mortgages have become increasingly less affordable over the past decade, but they remain below the 2007 peak when mortgage payments were 52.4% of earnings, according to the study from the Halifax. Mortgage affordability across the UK has remained at or just below the 30% of average disposable earnings since 2009 and the top 10 least affordable home loans are in London and the South East while the most affordable are in Copeland in the North West of England. Over the past decade, London average mortgage payments, as a proportion of disposable earnings have risen by 18% from 40% in 2008 to 47% today, and the Halifax says that has been driven by house price increases. Meanwhile, the cost of maintaining a mortgage in Northern Ireland now only takes up half of the average earnings, at 19% compared to 39% in 2008, while in Scotland it is 18% compared with 30% in 2008. The research also shows that typical mortgage payments accounted for 28.8% of home owners’ disposable income in 2018 and this means mortgage affordability levels for home movers have improved significantly by 39% since 2008. 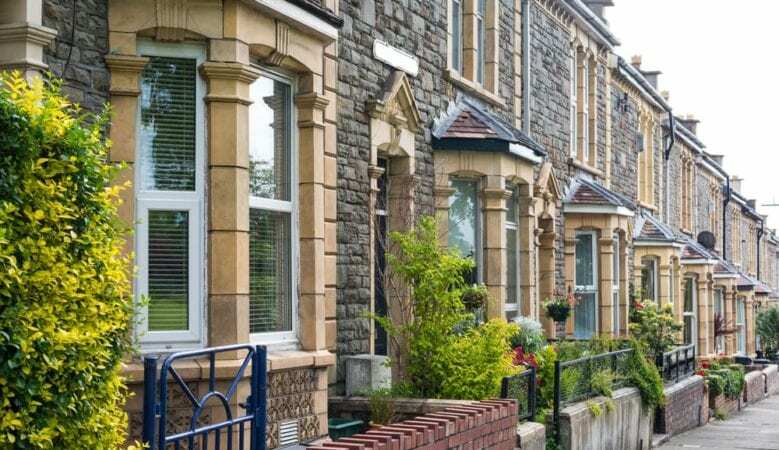 ‘Despite rising house prices and interest rates, the average UK earnings have also risen in line, meaning that national affordability has remained broadly flat. This is good news for first time buyers, home owners and a boost to the housing market,’ said Andy Bickers, mortgage director at the Halifax. East Anglia and London had the largest reductions in affordability while Scotland and the South East saw the biggest improvements in affordability, with mortgage payments dropping 9% as a proportion of average disposable earnings. While mortgage payments remain low as a proportion of disposable earnings in Northern Ireland at 19.3%, Scotland at 18.2%, Yorkshire and the Humber at 22.6% and the North West of England at 22%, these are highest in Greater London at 46.8%, the South East at 38.8% and South West at 34.1%. The 10 most affordable local areas are all in northern England and Scotland, whilst the 10 least affordable areas are all in London and the South East. Copeland in Cumbria is the most affordable, where typical mortgage payments account for 13% of average local earnings, followed by West Dunbartonshire in Scotland, Barrow-in-Furness Burnley and Hyndburn in the North West. The 10 least affordable areas are predominantly in London and the South East. Brent and Haringey are the least affordable places in the UK with average mortgage payments on a new mortgage loan, accounting for 61% of average local disposable earnings, followed by Hackney also at 61% and South Buckinghamshire at 60%.